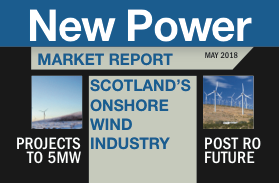 New Power speculates: Who are the energy consumers of 2030? Power and gas customers are switching utility in much greater numbers than ever before. At the same time, they can invest in their own power generation, or energy assets like electric vehicles. The options on energy are evolving very fast: what might energy customers look like by 2030? 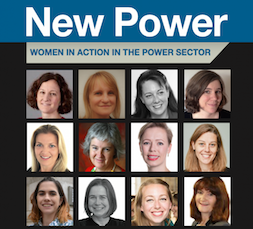 In its September issue, New Power looked into its crystal ball and saw a vast number of possibilities. We considered how customers might buy and manage their energy and tried to come up with some that were far from buying from traditional utilities. Here are the first dozen – some more radical than others (and, incidentally, named in honour of England’s World Cup-winning cricket squad). None has much in common with an energy supplier-customer relationship the way we know it today – and we make no claims that the business model for any would stand up to an investment committee. We have assumed that green energy expansion will continue. We have also assumed that network companies (who may not be traditional DNOs) will offer a variety of connection security at different price points. Heather lives in a housing association property and her energy costs are included in her rent, as are water, broadband, waste and other services. The association has heat and power storage on site, so it can ensure there are supplies – as a result it can save money with a low-cost connection with slightly lower availability.It generates its own power from PV and other sources, and uses flexibility in its tenants’ demand to manage its supplies and get the best price for external sales. Heather has offered maximum flexibility in her use and she has signed up for a multi-year contract, so the association assures her that she pays the minimum, although it’s not clear how the charges for her services are allocated. Katherine has an extended family to manage. She uses a single utility service to look after power, heat, broadband and water – at home, for her elderly parents living elsewhere, and for her children at university. They also provide breakdown service and emergency cover. She has ensured her parents have a very secure connection and can use power at any time – in any case their home is well insulated so the costs are relatively low – because it is more important to her to be able to check using activity data that her parents are following their normal routine. She has set a budget for her daughter Fran at university. Fran’s energy bill is paid by Katherine through her utility service. The service provides several options for living within the budget Fay’s parents have set, depending on whether Fay decides to forgo long baths in favour of quick showers, or switch on the air conditioning in the summer. Georgia, in the same university accommodation as Fran, also has power supplied by her parents. But they have extensive home generation and storage that provides more power than they use, so they are also able to trade power with the university. That gives Georgia most flexibility in the house when she wants to use appliances. Jenny is the third inhabitant of the university flat. She gets her services from the university and is billed by them. Like Heather, Jenny has agreed to provide flexibility in exchange for lower costs. The flat has activity monitors linked to an app on the students’ phones, so the university can allocate the bill appropriately and pass costs on to the flatmates. Danielle and family live in private rented accommodation and are on a tight budget. They buy power units along with the rest of the weekly shop, choosing whichever is cheapest that week and looking out for “buy one get one free” power deals for particular periods. The meter tells them when power is cheap and they try to fill the hot water tank, get the washing done and other activities during those times. Smart appliances could help, but most of theirs are too old to have much capability. Their landlord has supplied them with a low-cost connection – it is cheap but also means they can’t run the shower and kettle at the same time. They are concerned about the lower reliability. With small children at home, they are priority users so they have a basic battery back-up, provided alongside their child benefit in case there is a power cut. But they have dipped into it from time to time when their power minutes ran out and have not managed to top it up yet. Alex and family don’t buy any power at the moment. They installed new appliances in their house not long ago and paid for ten years of power for each of them at the same time – the cost was very low if they allowed the appliances to be used for flexibility services, although they had to have a good quality grid connection to qualify. They have decided to use these power hours for all their demand, because there are bound to be new offers in a few years when it runs out. Beth’s main asset is an electric vehicle. She makes deliveries and provides other services requiring mobility, such as care services and taxi services for which self-driving vehicles are not appropriate. She powers her accommodation from the car, because she has a lot of time flexibility and can charge it up when power is free. In fact, she has added extra battery packs and offers top-up for people’s home batteries, either in emergencies or simply for convenience. She had easy access to extra storage because among her deliveries are new batteries for off-grid houses. She takes away the old ones, which are sold via a second-hand market. Tammy is a long-standing employee at an engineering business that buys and generates power for its own use. She has recently joined a company scheme under which her employer provides power and she can save money by letting them use her flexibility to help cut costs. Because she works unsocial shifts she thinks it’s probably a good deal, but switching was not simple because in the past she purchased all her services as a bundle, and taking fewer services may have raised unit costs. Anya also has power supplied by her employer, an IT company. She is one of a small group that has taken up the option. The IT company sells only its backup power, because it has emergency power supplies and it has decided using them provides it with better information on the supply than an occasional test start. But its users are on an “instant interrupt” contract, which means that in the event of a supply interruption, power will be cut in less than a second as the company uses it for its own supply. Laura and partner run a nursery in their house. Security of supply is important so they pay for a high-quality connection to ensure there are no power cuts. But price is also important, so they pay a switching service to keep them on the lowest tariff possible. But for them, heat and hot water are their biggest energy requirement, so they are investigating domestic CHP units that would enable them to power the home and business as a by-product of heat supply. Natalie is a member of a local power co-operative. It has PV, wind, batteries and a small group of gas generation engines that are used to top up or balance where necessary. They also trade with other local community energy groups. In the past, the gas plant has been used to sell flexibility services to the grid, but using flexible load instead has cut the market price of those services and it’s not worth it any more. New Power’s thought experiment shows why utilities have to change their view of customers. It is not just companies for whom dealing with customers represents a cost: customers have to invest time and effort, even if it is only setting up a direct debit. If power can be offered by many types of providers, sole utility suppliers will have to work much harder to offer incentives for customers to stay with the company. Providing power only means undercutting not just your energy company peers, but also other options that can offer power at zero apparent cost or inconvenience. Energy retailers: how are they changing? This is a well written article and quite thought provoking. Overall, I can see that these are the sort of offers that would excite consumers and support them. However, I do have a number of practical observations. These are not meant to detract, but hopefully strengthen them by making them more practical. The comments are in no priority order, just how I thought of them! •	I agree that network charges should be separated from consumption and that this gives greater flexibility and potential cost savings. I don’t though believe this is an essential pre-requisite to making your ideas work. •	Selling flexibility sounds easy but there are a number of challenges that need to be addressed: there needs to be sufficient flexible loads to be able to sell: the majority of homes and particularly student flats, do not have many real loads they can shift. This is why residential demand management is currently pretty well non-existent. One key to this puzzle is energy storage which will provide the “cushion” needed to be able to flex supply and demand and to store excess energy when not required. Putting a battery in even a small home will provide the flexibility needed to help balance the grid. Settlement – payment for demand management responses – is not simple. It will depend on a validation service, most likely built around smart meter data and based on the metering point: i.e. the whole home rather than an individual appliance. It is therefore hard to see how an appliance could be sold with 10 years electricity included. •	Buying your power as part of the rent or even from a district power service sounds great in theory but in practice it is sacrificing freedom of choice and is a gamble that the service you are tied in to is run efficiently. If it is not, as a number of recent reports have highlighted with new District Heating services, then this can become a nightmare. Signing up to a monopoly is not something I would recommend. As I say, I am not trying to be negative, but to enhance and build on the propositions. To this end I would like to introduce Harry and the concept of the Hybrid Home – after all, in the interests of equality it should be a mixed gender team! Harry has just bought an affordable Hybrid Home; affordable for two reasons. First it is less expensive to build as it does not have gas or district heating, which is expensive to install, but high levels of insulation and minimal electric heating. Secondly, the Hybrid Home’s energy bills are more than half that of an equivalent standard home making it also affordable to run. This is achieved in three ways: the home has its own battery to store off-peak electricity for use at peak times, the home also has solar panels and is able to use over 90% of the electricity generated as it can be stored in the battery in preference to off-peak electricity, and finally Harry is able to sell his home’s flexibility to an aggregator. It is what we call an “active home” – one that works dynamically with the grid. Because Harry owns all the elements he is free to sell his flexibility to whoever he chooses – and switch if a better deal comes up. In fact, his preference for the moment has been to take a fixed price offer from the local Energy Service Company (ESCO). It is similar to paying a monthly debit only it is cheaper as the ESCO takes advantage of managing the flexibility in the background without impact on his daily usage, he can use up to 20% more than his normal consumption without penalty and if he uses less than normal he will be rebated pro-rata at the end of the contract! So, it is simple, low-cost and he doesn’t have to change his behaviour: now that’s peace of mind as well as affordability.